NREN partners’ investments extend network reach, increase capacity, and strengthen resiliency of network infrastructure supporting data-rich, collaborative innovation. BCNET, a not-for-profit, shared information technology services organization, together with its National Research and Education Network partners, today announced the completion of a range of projects that extend the reach, and increase the capacity and reliability, of Canada’s National Research and Education Network (NREN). These projects, funded jointly by CANARIE and its provincial and territorial network partners, ensure that Canada’s NREN stakeholders have the digital infrastructure to support the demands of data-intensive research, education and innovation. The National Research and Education Network (NREN) is an essential collective of infrastructure, tools and people that bolsters Canadian leadership in research, education, and innovation. CANARIE and its twelve provincial and territorial partners form Canada’s NREN. We connect Canada’s researchers, educators, and innovators to each other and to data, technology, and colleagues around the world. 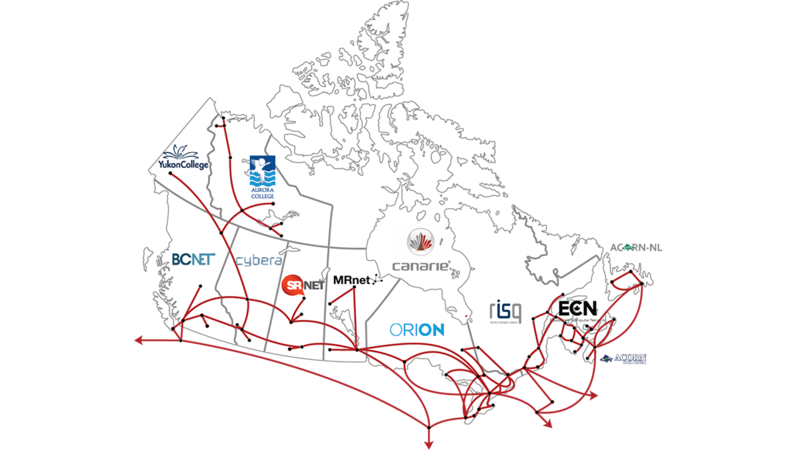 NREN partners include CANARIE, BCNET, Cybera, SRNET, MRnet, ORION, RISQ, ECN, ACORN-NS, ACORN-NL, Yukon College and Aurora College.